Twilight craze and Jacobsession knows no boundaries. From a teen girl to Oscar-winning actors, nobody (but Miley Cyrus) manages to keep away from this new global obsession. 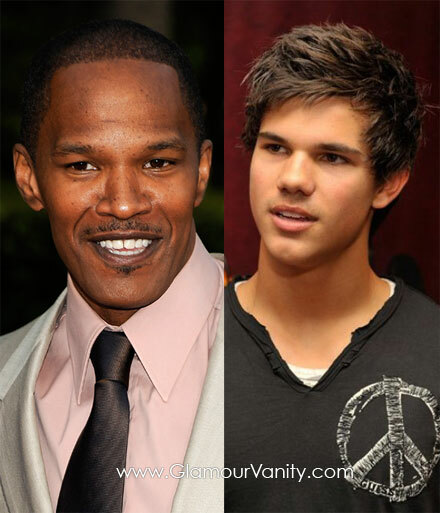 According to New Moon hottie Taylor Lautner, 17, he met Jamie Foxx last year while premiering Twilight and know what, Jamie is Team Jacob! Other big names on Team Jacob are Kristen Stewart, Kim Kardashian, Selena Gomez, Emma Roberts, Taylor Swift and Nikki Reed. And me, too. What team are you?